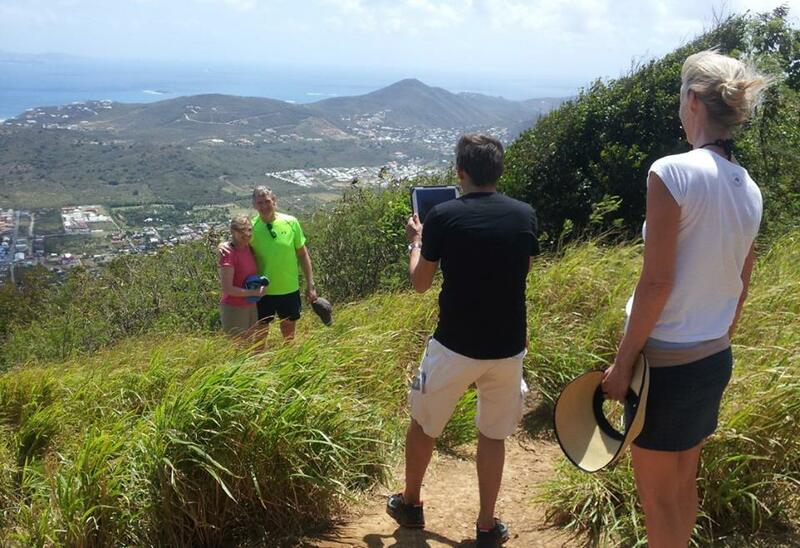 There are many hiking trails on St Maarten and St Martin. 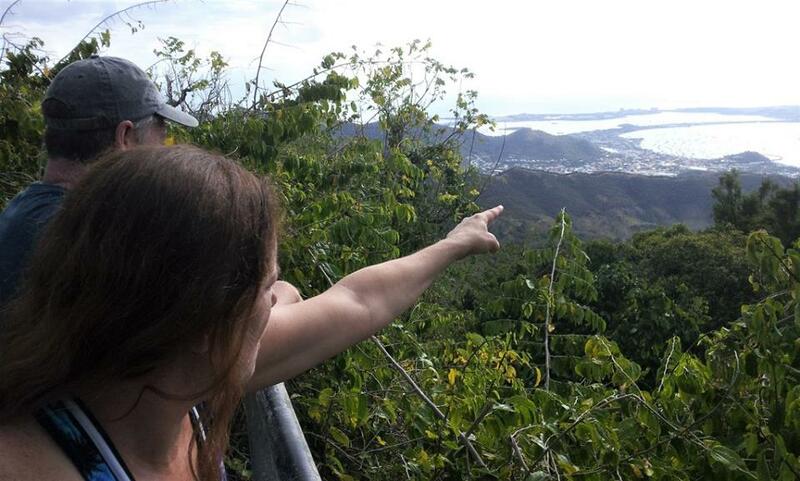 There are coastal hikes and hikes wandering through the hills with beautiful views from the peaks. 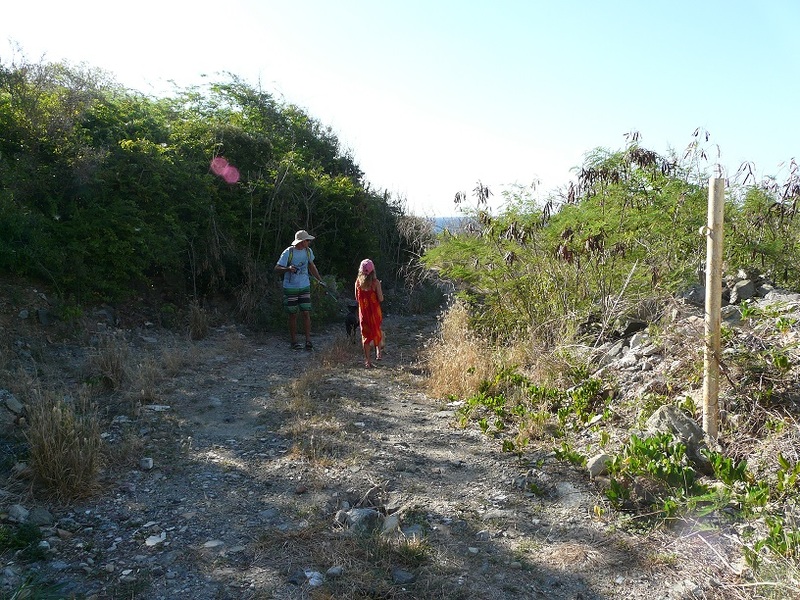 We’ve lived on St Martin for almost a decade now, and done many of the trails, there is however very little info available on where to start the hikes, how long they take, etc. 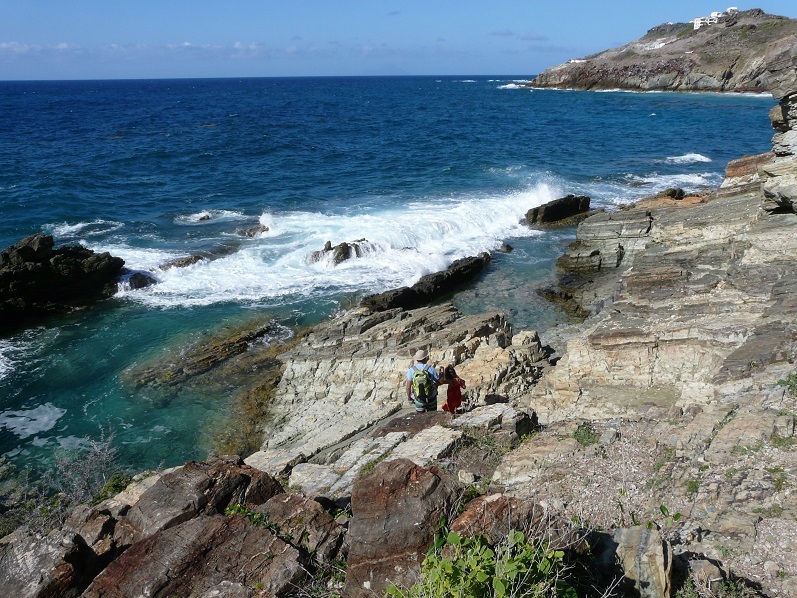 So, to make your St Martin hiking adventures easier: here the details of 4 of our favorite St Martin hikes. Happy hiking! 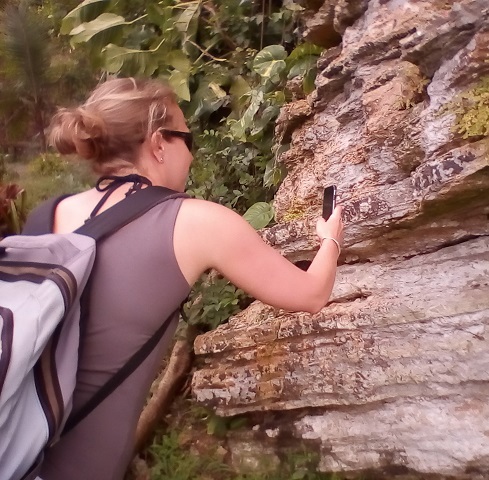 PS: If you’re not comfortable venturing out on your own, or if you’d love to learn all about St Martin’s nature, we are happy to take you along on our 4 hour Hiking & Snorkeling Tour. Great and informative tour showing you St Martin’s natural highlights, above and below water with a maximum of 6 guests only. Includes our homemade banana bread and homegrown lemon grass iced tea :). 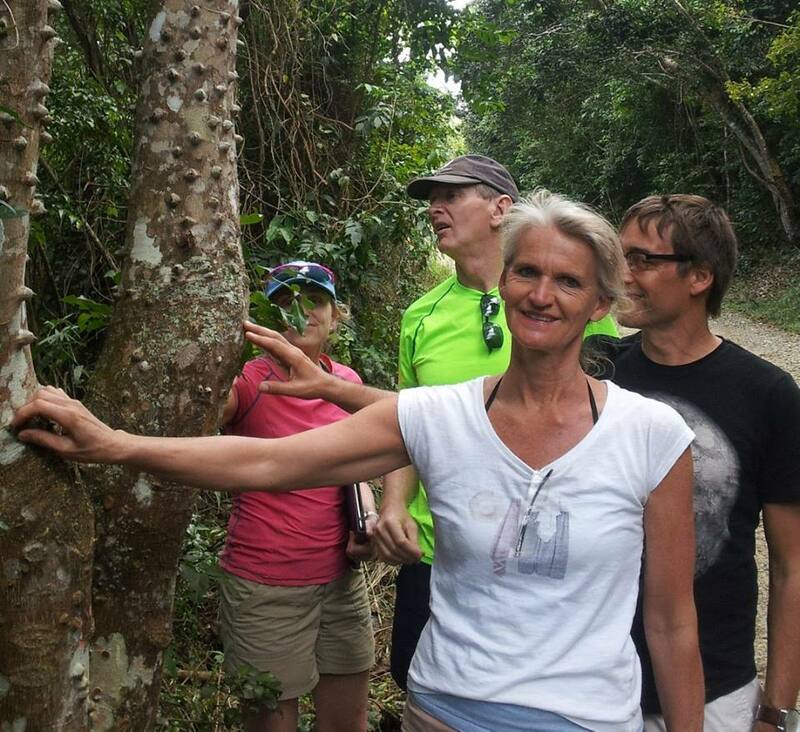 If you’ve been hiking with us already, go out with TriSport too, they offer a tour hiking the coastal path between Point Blanche and Guana Bay. 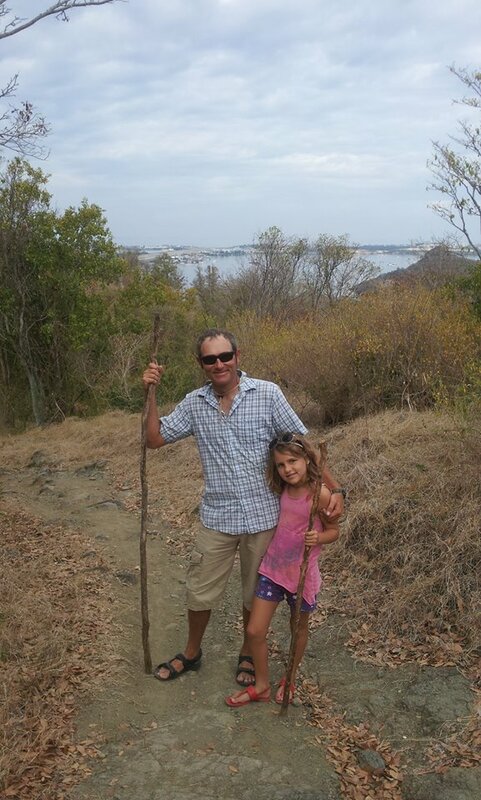 There are two ways to get to the top of the highest hill of St Martin, Pic Paradis. You can do the easy way, which is driving up most of the way and then the last 20 minutes hike to the 2 viewpoints. This is the hike we do during our Peak, Pond & Snorkel Tour. 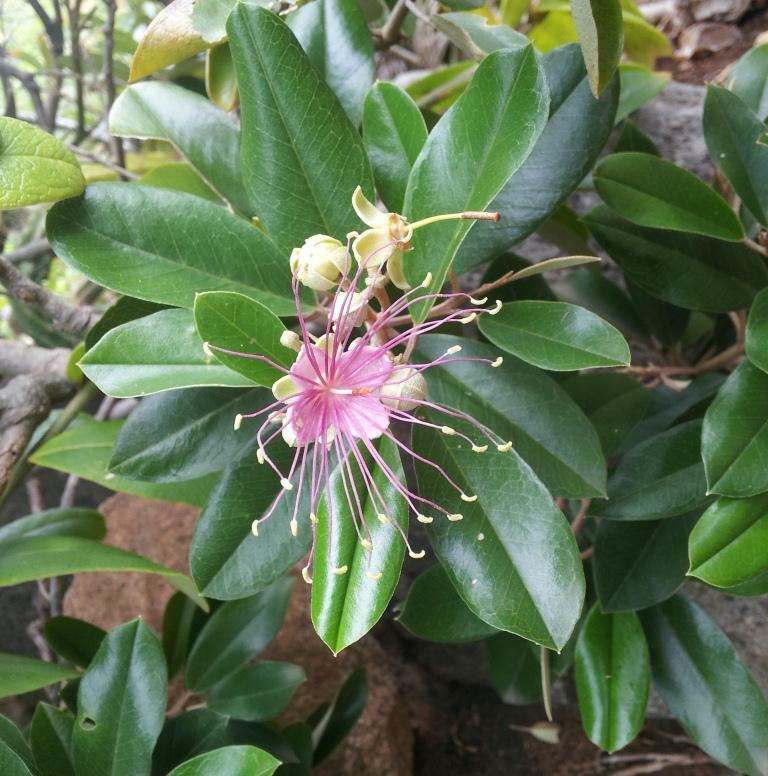 Or you can start at the Loterie Farm in the valley and hike through the tall broadleaf forest to get there. 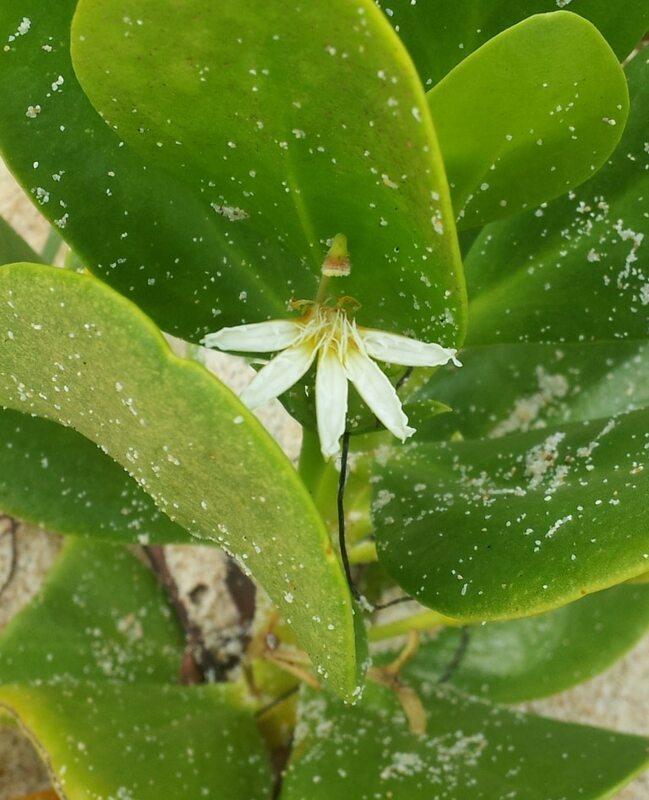 Go with Seagrape Tours! Very informative and safe. 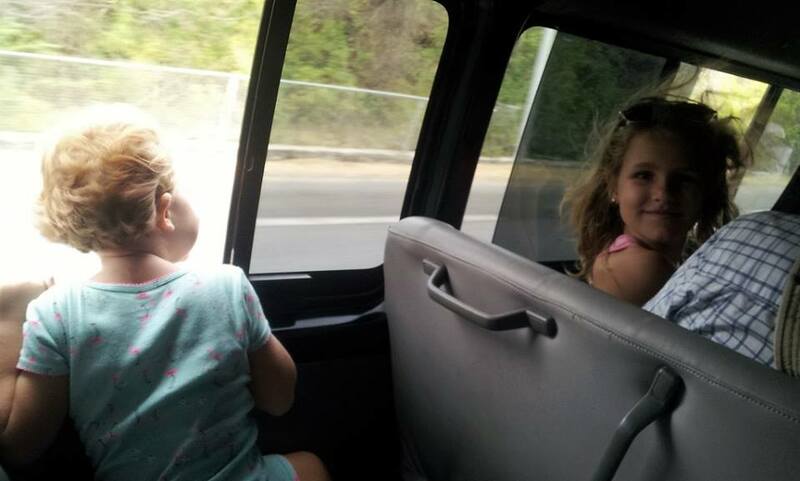 Or DIY: On the road between Friar’s Bay and Marigot take the exit ‘Pic Paradis’. Drive up the steep hill, past the Loterie Farm, and then take the first road on your left. The road goes even steeper here, and soon you can park your car on the left side of the road, or further on the right side. Walk the rest of this wide path. The first viewpoint will be indicated with a sign pointing to the left at the Y-intersection, you’ll be able to see the East side of the island. 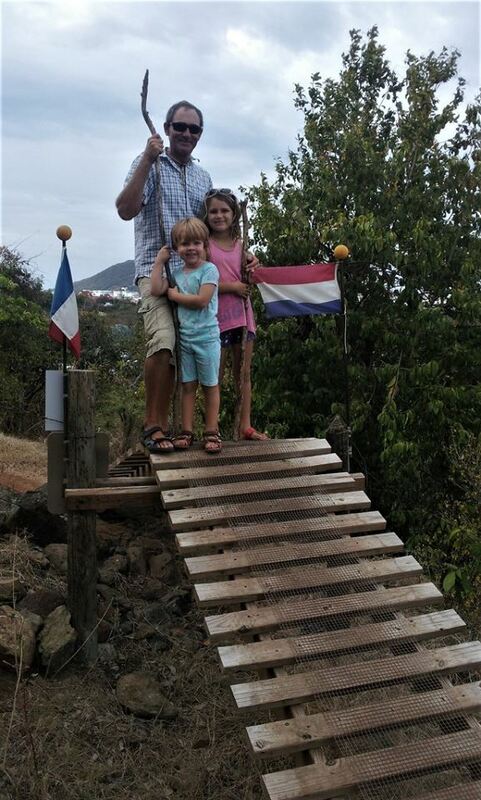 For the second viewpoint you follow the other path leading to viewpoint 1, until you run against the fence around a cell phone tower, go left around the fence and tower for the other viewpoint overlooking Marigot. 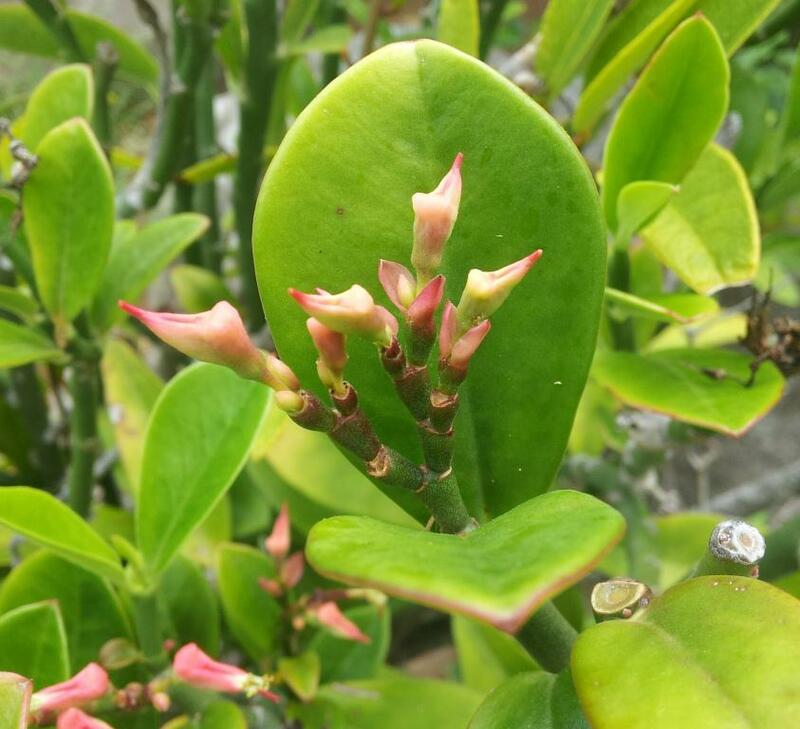 On your way you’ll see Philipsburg on your left when the vegetation isn’t too high. Between Friar’s Bay and Marigot follow the sign to Pic Paradis, and then turn right into the Loterie Farm. They’re closed on Mondays. Park your car on their lot, pay $5 per person at their office and pick up the trail map, which shows you clearly how to get to the top. Make sure you visit both viewpoints on the top! 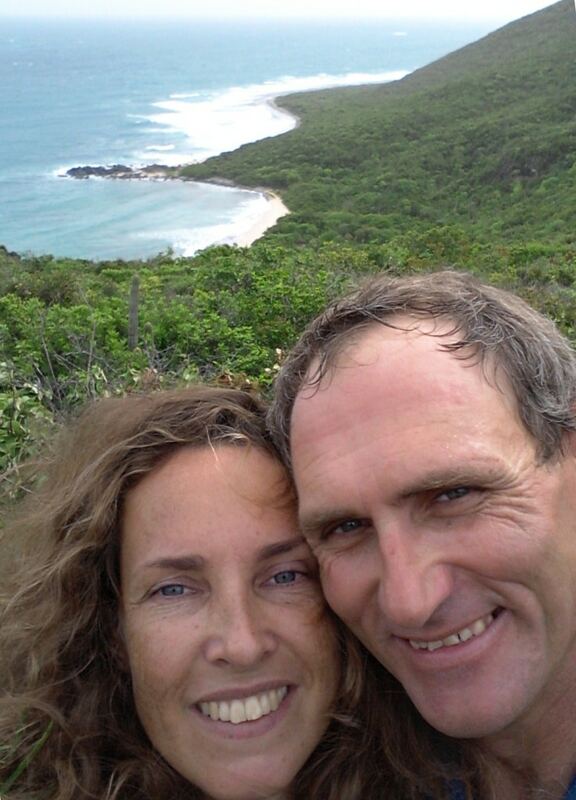 David and Ilja, hiking guides and owners of Seagrape Tours at Baie des Petites Cayes. Drive to the French Cul-de-Sac and follow the signs there to Anse Marcel, or if those are not there, then follow to the RIU resort or Hotel Marquise. Once you’ve passed the security boom on top of the hill – which opens when you press the button – you’ll go down hill and make a couple of turns to the right. On your right you will find a sign from the Reserve Naturelle indicating ‘Sentier des Froussards’. Follow that sign and park your car there. 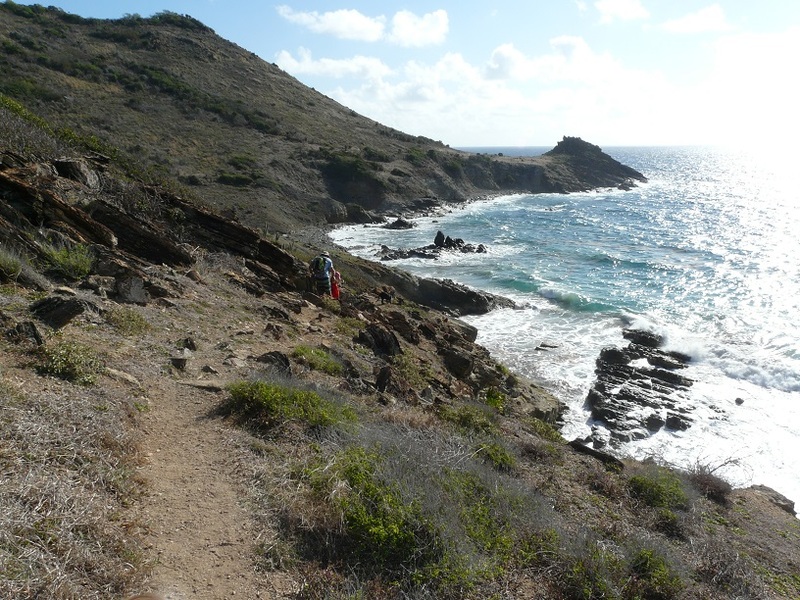 You can do this coastal hike two ways: walk the entire trail for 2.5 hours until you’ve rounded the most northern part of St Martin, ending up on the beach of Grandes Cayes and further, at the ferry landing of Pinel Island, where you’ll find taxis willing to bring you back to your starting point. The way we like to do the hike is to first follow the wide easy path until you’re at the water treatment plant. Here the path turns into a hiking trail following the fence after the plant (you need to bend down a bit, it’s beautifully overgrown for the first part). You’ll be going up and then down a hill now, offering views of the ocean. 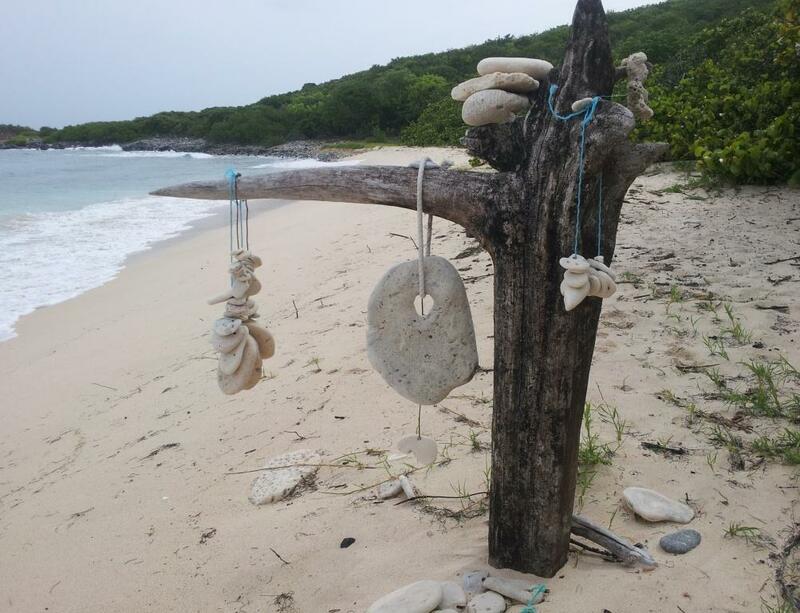 Soon you’ll arrive at the beach of Baie des Petites Cayes. Have a rest, take a dip, and then return the same way you came, which is shorter than following through to the end of the trail. From the Dutch side of St Maarten (Cole Bay), drive to Marigot and park at the Bebe n’ Kids store which is on your left before the roundabout. Walk a little bit back and cross the road, then go over the wooden bridge which leads you over an old stone wall, which is called a slave wall. 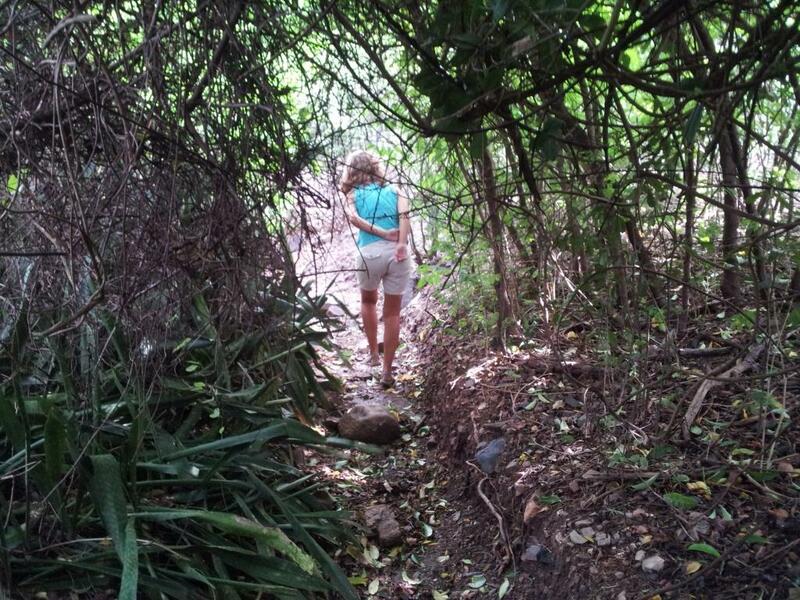 Follow the trails back to the Dutch side of St Maarten. We kept a bit left so we ended up walking over the lower parts of the hills and under the tall trees. Beware of mountain bikers, this is a popular trail for them too. Just before crossing the border (you’ll see the flags on the main road waving on your right somewhere), turn right, taking a path down which then takes you over another wooden bridge crossing a slave wall, with a French and Dutch flag on it. 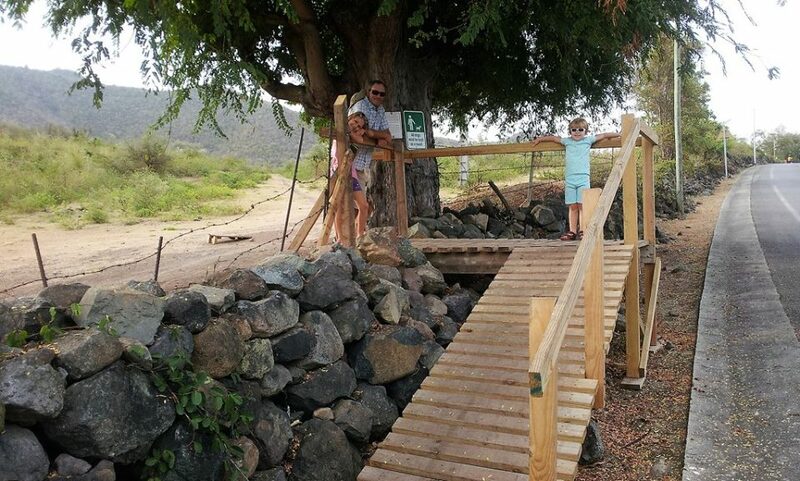 The end of the trail is at a roundabout, close to the bridge crossing the Simpson Bay Lagoon. Many local buses will drive by, some with a ‘Marigot’ sign behind their windshield. Flag one of those down and for $1 per person they will bring you back to your car. Drive to Philipsburg and then Pointe Blanche, at the Y-intersection where you have Saith’s supermarket in front of you, follow left, then first left onto Pigeon Road. Take 6th road on your left, that’s the Laughing Bird Rd, take first right onto Pelican Rd, take 2nd right onto Gullin Rd. Drive all the way to the end of Gullin Road, and park close to the baseball court. Walk a little bit back and you’ll see a wide path on your right. Follow the wide path which later on goes over into a narrow trail hugging the dramatic shore line of St Martin’s Atlantic Coast. 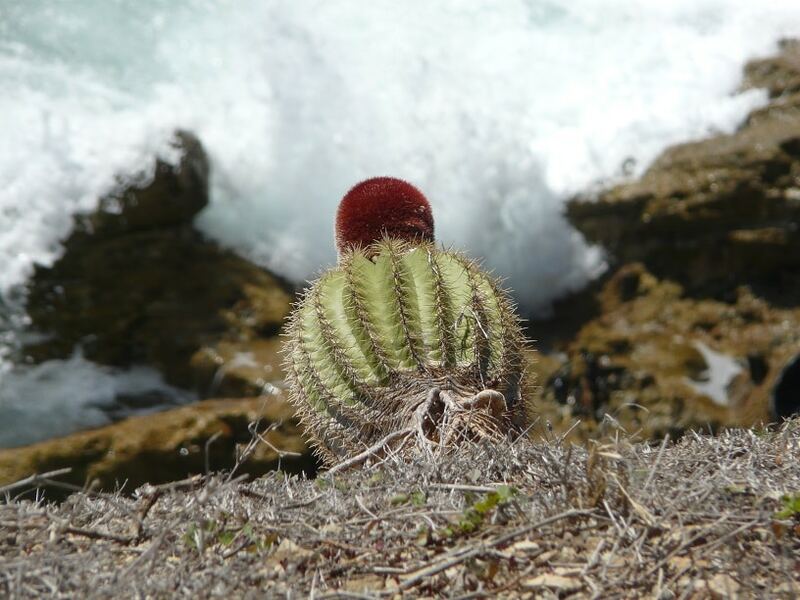 Goats can be seen here, as well as the endangered Pope’s Head Cactus. After a pebble beach you’ll see a rocky point sticking up high, made up of a lot of loose rocks as it seems when you get closer. Right before that point go off the main trail and follow the one that’s going to the right. After a bit of climbing down you’ll find yourself in the Back Bay Pools, two lovely and inviting pools with a natural rock wall offering protecting from the large Atlantic waves. Take a dip to cool down, beware of the black spiny sea urchins however, the water is clear most of the time so you should be able to see them easily. Take goggles or a mask with you and enjoy the tiny fish swimming around! 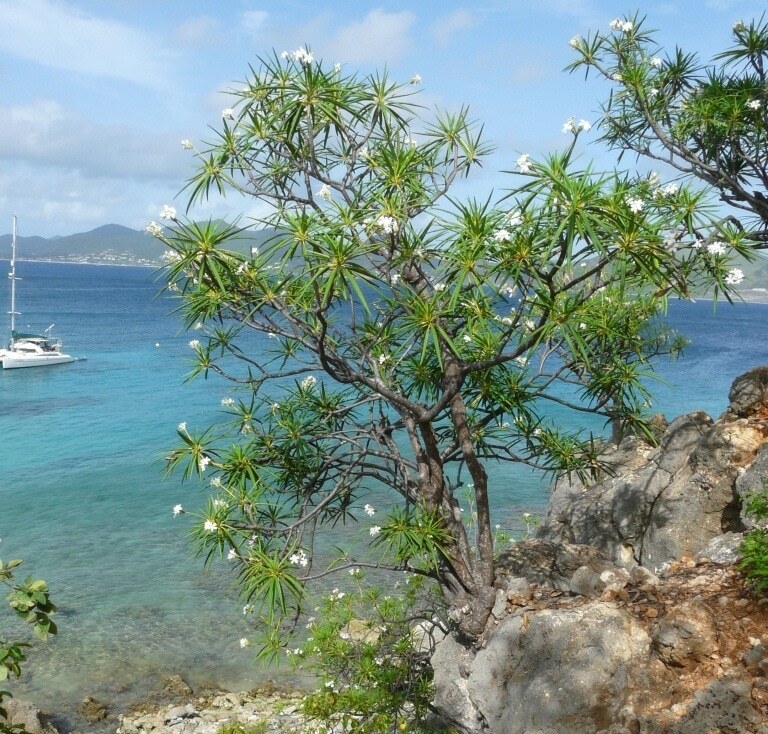 It’s just 20 minutes walking to get to these pools, you can follow the same path back to get to your car, or you can continue your hike further to Geneve Bay and then Guana Bay. There are no taxis waiting in this neighbourhood though, so bring your cell phone with a taxi’s number on it if you intend on hiking one way. I’ve done this hike once starting at our apartment in Tamarind Hill (Red Pond Bay) at the time, going the opposite direction, so first to Guana Bay and then Pointe Blanche, after which we decided to walk to Philipsburg and through Sucker Garden over the main road, back into Guana Bay and up Tamarind Hill again. This crazy trip took 5 hours… Not recommended. The one I’m describing here, to the Back Bay Pools and back, we’ve done with our 4 and 6 year old daughters. And they loved it.